This pastry is the signature flavor of Tampa. You can get your hands on one 5 minutes from anywhere in this city, and that is reason enough to live here. Some places run on Dunkin, Tampa runs on pastelitos de guayaba y queso and café con leche. 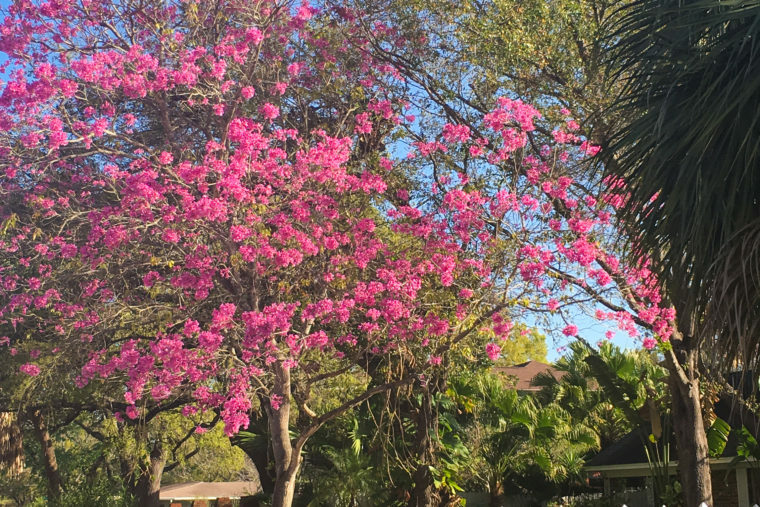 But if you don’t happen to be in The Big Guava, they’re actually really easy to make at home. They’re also very forgiving. You can make them on Christmas morning, even with presents and chaos, and you won’t screw them up (as long as you set a timer). Sometimes the filling oozes out, but it’s all good. Actually, I’m sad it didn’t happen in these photos because I love how that looks, a little oops that gives everyone a sneak preview of all that guava goodness hidden inside the flaky layers. The filling is guava paste and cream cheese. Guava paste comes in blocks. It works much better than jelly, which melts too much. You’ll slice the guava paste and cream cheese into one-inch squares. Make sure your cream cheese is super cold. Pop it in the freezer if necessary to make it sliceable. 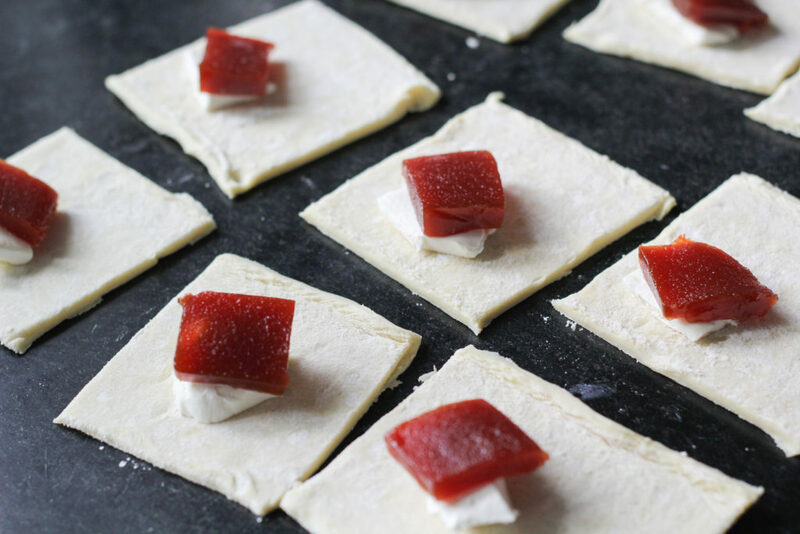 Slice the puff pastry sheet into nine squares, and top each one with guava and cream cheese. Pull one corner to meet another (it’s okay to stretch it a little) and make a little triangle. Use a fork to crimp the edges closed. Brush the tops with egg wash and bake. The drizzle is totally optional. 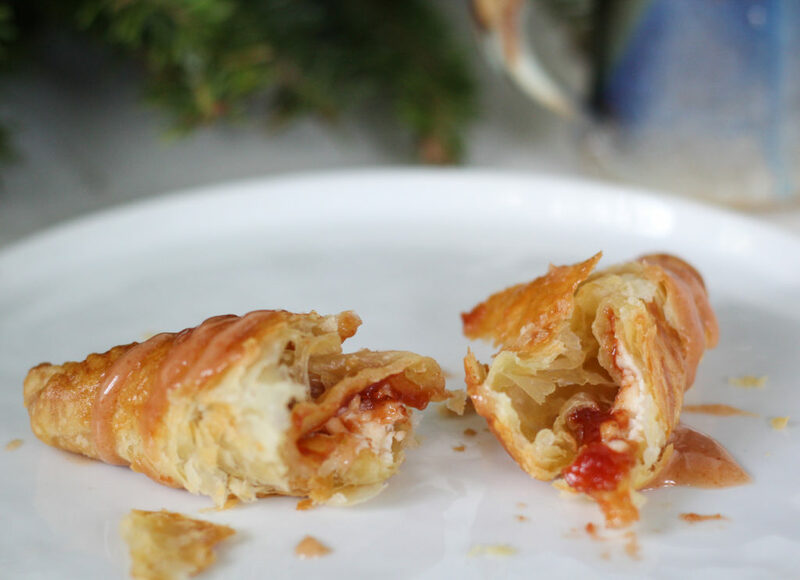 It dresses them up for Christmas morning, and takes that sticky flaky goodness to the next level. But… if La Segunda is only 5 minutes away? Never mind. Go there. 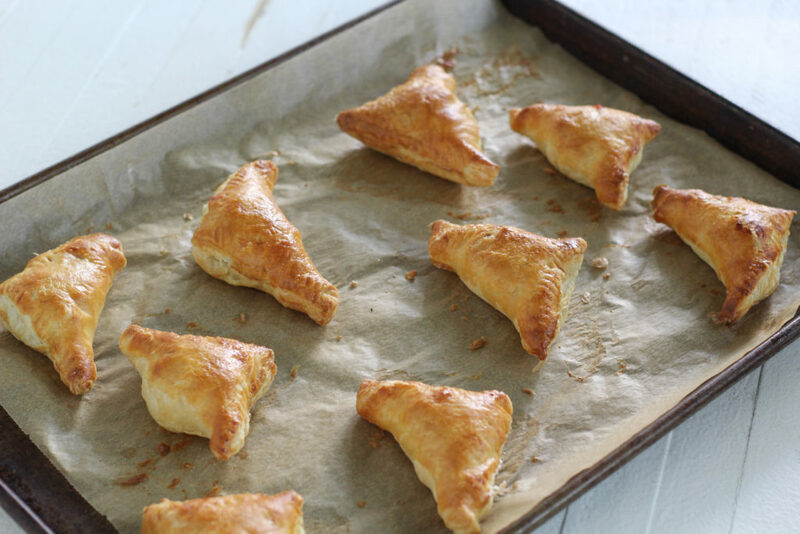 Slice the pastry sheet into 9 squares. 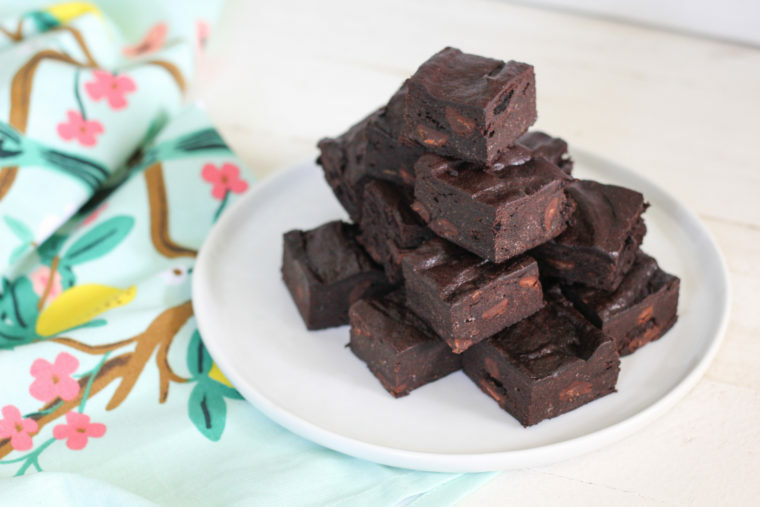 Top each square with cream cheese and guava paste. Pull one corner over the filling to meet another, creating a triangle. Press around the edges. Repeat with remaining squares. Whisk the egg and water. Brush over each pastry. 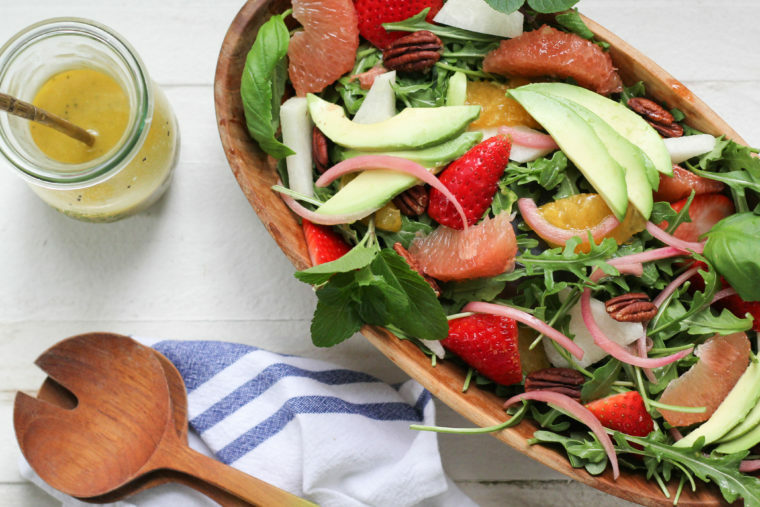 While they’re in the oven, you can make the drizzle. Heat the guava paste, cream cheese, and milk in a small saucepan over medium. Whisk vigorously until the guava paste melts. Whisk in powdered sugar until you get a good drizzling consistency. Spoon over the pastries while they’re warm and serve immediately. Are you making these xmas morning??? They look so tasty! 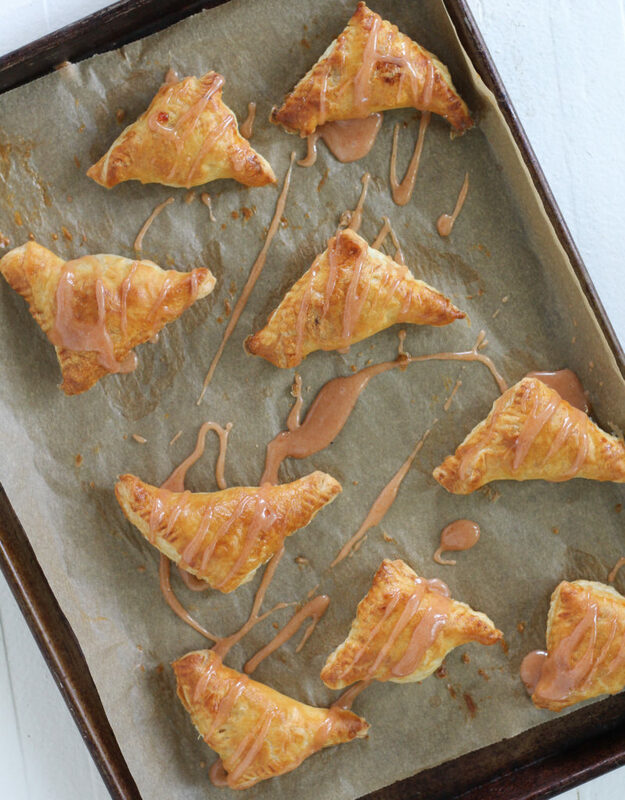 I will make these pastries for Christmas morning at my house! I take that as a hint! I believe it can be arranged! I think Mark would like you to test them out. Maybe a birthday brunch? I just might be at your house on our birthday so he’ll have to wait! Thanks, Julie! 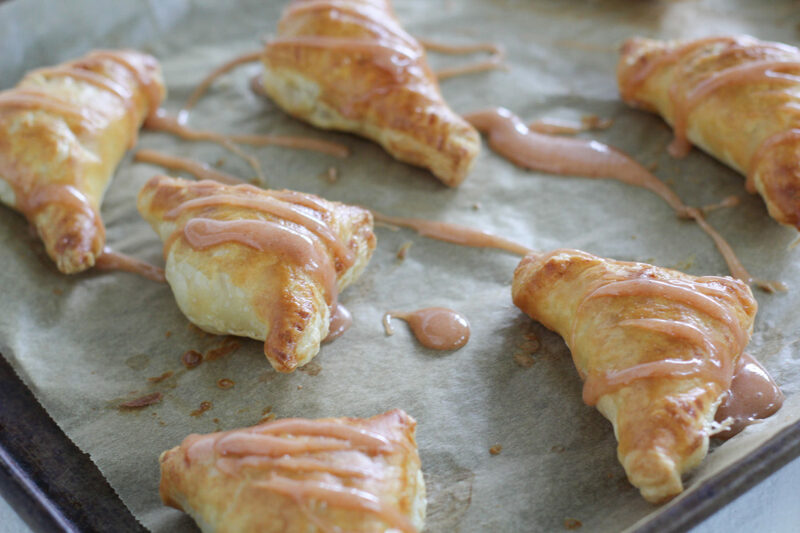 You can’t go wrong with anything in a puff pastry, but guava must be the very best of all! I know you’ll make them prettier. Even though I love the flavor of the guava in the icing, I don’t think the pink contrasts enough with the pastry and now I’m wishing I went with pure white… ah, you know. 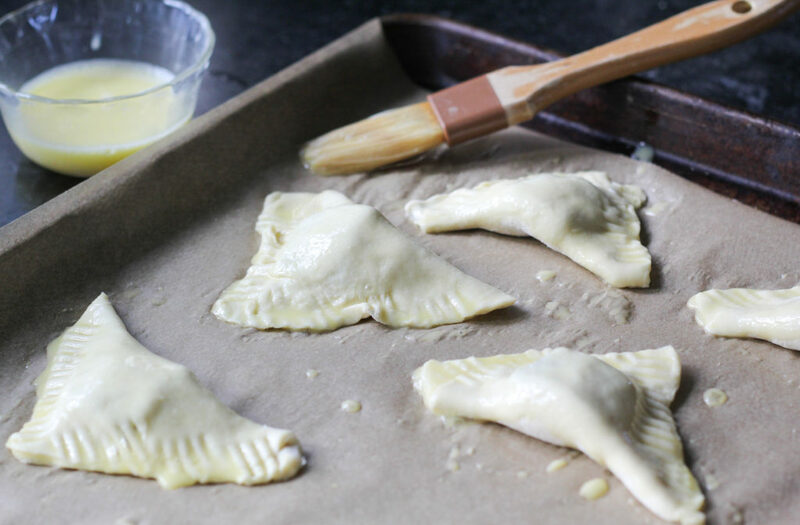 I love that recipe of guava/cream cheese empanadas or turnovers! Can’t wait to try it!